Hi! Welcome to the online version of the HCC Library Research Instruction workshop. This guide will help you locate quality, scholarly information you need for your research assignment. If you have any questions about this guide, using any of the resources, or encounter problems feel free to contact your super awesome, super friendly librarians! 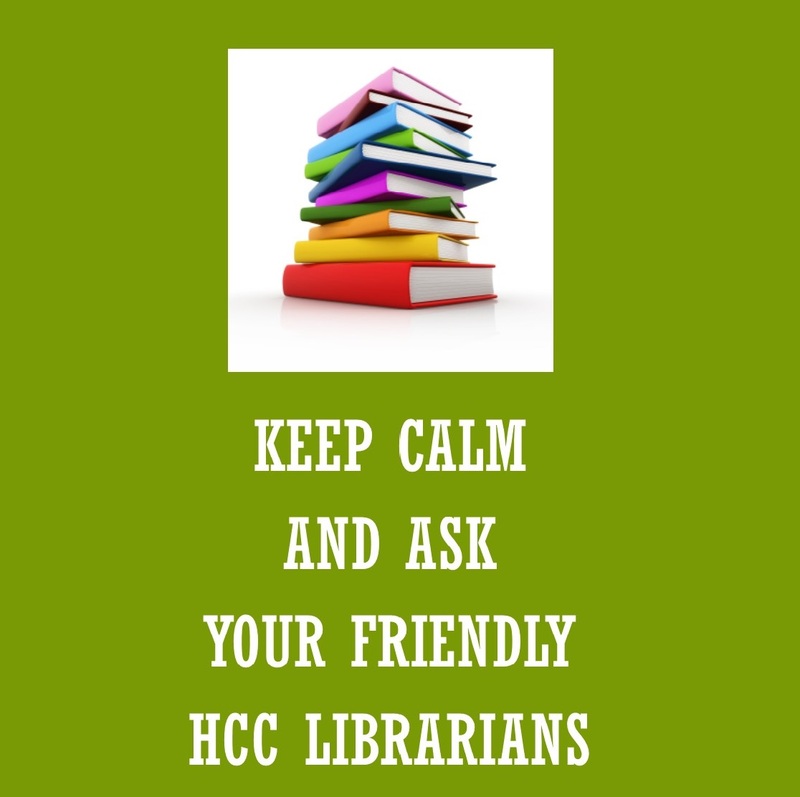 If you are an HCC Instructor and would like librarians to provide a face-to-face Research Instruction Session, please contact us today!